SOLD in the Sunnyside Community 549 S E St Townhouse for Sale in the beautiful coastal city of Oxnard, California. This great townhouse is located in the Oxnard downtown area, move in ready, and sold with practically all the appliances and furniture. SOLD for $275,000, Conventional financing with only 3% down. The property features 2 bedrooms 2 bathrooms with nearly 1,000 square feet of living space and included newer range, microwave, refrigerator, washer, dryer, flat screen t.v. and more! This property was SOLD by David Tovar of EXIT Castillo Realty. Listing courtesy: American Dream Realty. For similar results please contact David directly at (805) 444-6366. Marketing Remarks courtesy American Dream Realty: REMODELED! Rarely available Sunnyside Upgraded 2 Bedroom and 2 Bath Condo with a laundry room located inside the condo and within close proximity to Oxnard's Downtown Historic District and Heritage Square is on the market. This highly upgraded Tudor style condo has a fully remodeled kitchen with white solid corian counters, stainless steel appliances, recessed lighting, Breakfast Bar, and an open floor plan kitchen. The property boasts upgraded bathrooms, wood like flooring, fireplace, and a LARGE Master bedroom with connected Master bath and double closet. Lastly, this property is located next to shopping, parks, and schools. Looking for a property near the downtown area? 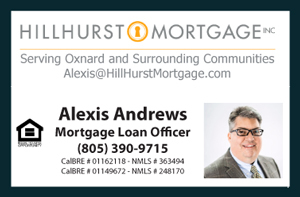 These are the most recent listings for sale in the Historic Downtown Oxnard Area as of November 11, 2017: Oxnard Historic District Area Homes for Sale.